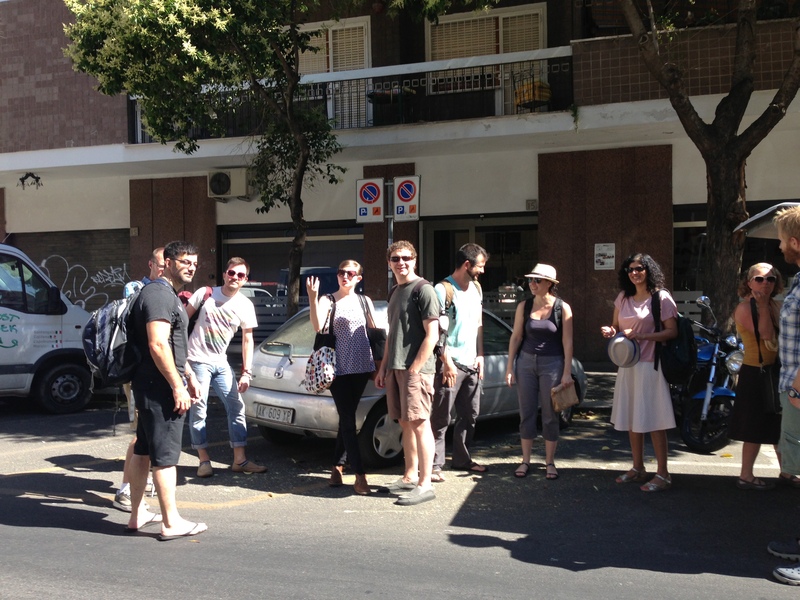 It’s the morning of July 2nd so we’re headed to Bolsena! There are 21 of us–here are our names here are in order of our working groups of three: Jenny Cameron, Esra Erdam, Sean Tanner, Claire Brault, Kath Gibson, Eric Sarimento, Kelly Dombroski, Rhyall Gordon, Yayha Madre, Janelle Cornwell (that’s me! ), Ceren Ozselcuk, Boone Shear, Ann Hill, Ethan Miller, Kevin St Martin, Nate Gabriel, Oona Morrow, Marianna Pavlovskaya, Za Barron, Stephen Healy, and Maliha Safri. We pile into a bus and hit the road. I’m working with Boone Shear and Ceren Ozselcuk. Boone is an activist anthropologist/doctoral candidate at the University of Massachusetts. His research and organizing focuses on solidarity and green economy networks in Western and Central Massachusetts. He’s a prolific writer. For example, his work is widely available on the internet including several articles in Truth out, the Daily Hampshire Gazette and Occupy LA as well as a bunch of academic articles in journals such as Rethinking Marxism, Urban Anthropology and Practicing Anthropology. He submitted two papers for the retreat. The first paper is about economic desire and building the economy as we want it. His second paper, co-authored with Stephen Healy is about defining the solidarity economy in Worcester MA. Ceren Ozselcuk is an Assistant Professor of Sociology at Boğaziçi University. She is a heterodox economist with interests in economic geography, political economy, psychoanalysis and ideology analysis. Her academic work in English can be found in Rethinking Marxism, Subjectivity, Psychoanalysis, Culture and Society and Forced Migration Review. For the retreat, Ceren is working on chapter for the edited volume Performing Diverse Economies. Her chapter, “Communism and Sublimation: reading diverse economies with desire” is co-authored with another economies Yaya Madra. Both Ceren and Yaya have come to the retreat from Turkey. My paper is about worker co-operatives building a movement of scale in Western Massachusetts. The paper began as a reaction to critiques of worker co-operatives that are based exclusively on the size of the movement (see scale rant). It took the theoretical approach obsessing over theories of scale. However it has become a paper about worker co-operatives leaving conceptual scale in the back ground. 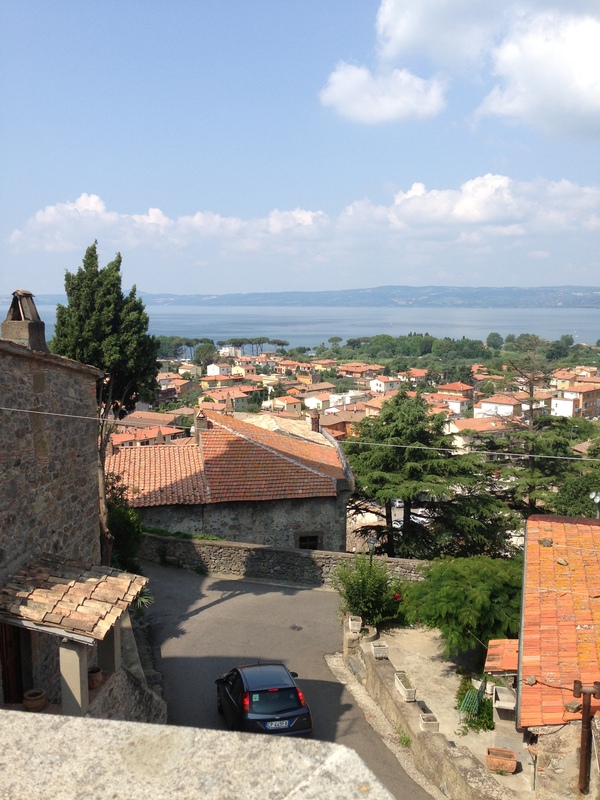 We are staying at Il Convento Santa Maria del Giglio in Bolsena, maybe an hour and a half from Rome in Northern Lazio on Lake Bolsena. 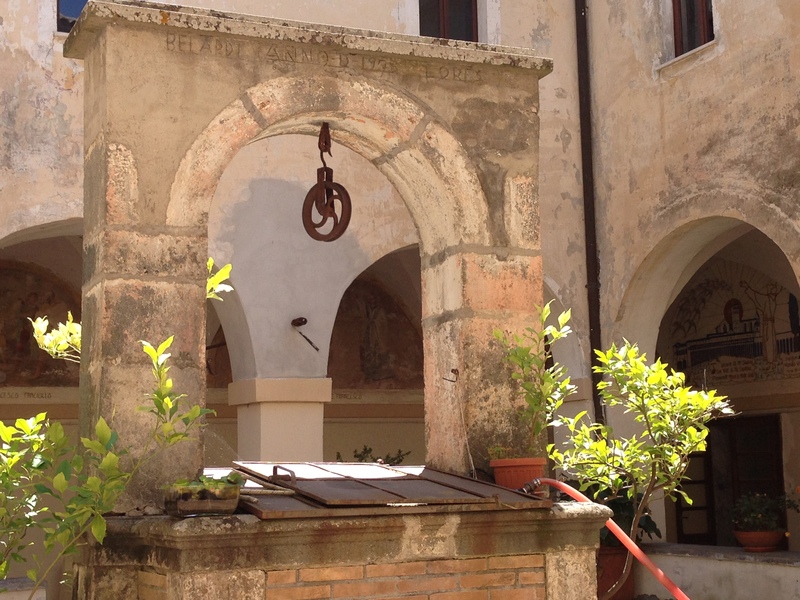 In the rush to get everything done before leaving the states, I hadn’t contemplated what the convent might be like… And, I’m so glad I didn’t. It is the most beautiful, peaceful place I’ve ever known. Wendy Harcourt welcomed and a young grounds keeper with German Shepard by his side welcomed us at the door. We walked through the arched entrances doorways wide-eyed, past 16th century frescoes down a long hallway to a sunny cloister where a lunch of local meats, cheeses, wines and bread waited for us alongside flowers, water and wine. This entry was posted in Julie Graham Community Economies Theory and Writing Retreat in Bolsena Italy, Uncategorized by Janelle Cornwell. Bookmark the permalink.